New books published since September 2017 shown in bold. Both lists are as close as I can get to chronological story order. If there's one thing we don't have enough of, it's Star Wars threads! I've been posting a bit about the new canon novels and comics in the Force Awakens thread, which seems to be the default place for general Star Wars chat at the moment. But I think the new canon fiction deserves a thread of its own, partly because most of it has nothing to do with the Force Awakens, partly because soon the Rogue One thread will become the main Star Wars thread for a while, and partly so that people who are interested the films but not the spin-off fiction don't have to put up with my rantings on maps, Threepio's arm, or any other trivial minutiae. And also because there is already a decent library of books and comics in the new canon, and it's only going to keep growing. "The thing with legends is that parts of them are true." 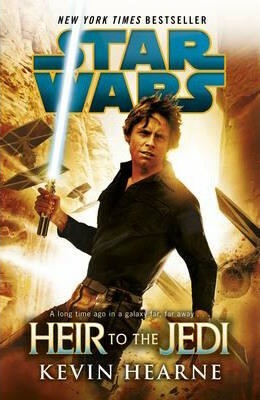 On April 25, 2014, after a year of ownership by the Walt Disney Company, a StarWars.com press release confirmed that the films of the sequel trilogy would not adhere to the post–Return of the Jedi Expanded Universe, with further comments from LucasBooks Senior Editor Jennifer Heddle confirming that the EU as a whole is no longer considered canon. The EU has been re-termed "Legends," with related publications remaining in print under that banner. Since then, the only previously published material still considered canon are the six original trilogy/prequel trilogy films and the Star Wars: The Clone Wars television series and film. 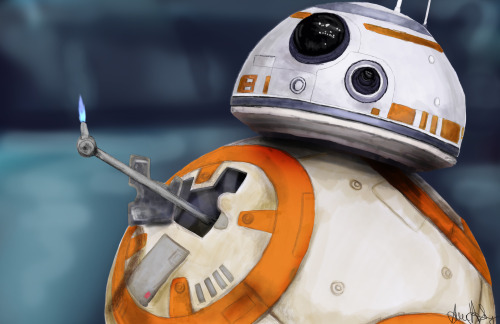 Most material published after April 25—such as the Star Wars Rebels TV series and all novels beginning with A New Dawn—is also considered part of the new canon, on account of the creation of the Lucasfilm Story Group, which currently oversees continuity as a whole. Characters under the Legends banner are still available for use as needed, even if events concerning them are no longer canon. Basically, anything published since May 2014 is part of the new canon. Anything published before that isn't, but are now "Legends" that may or may not prove to be "true". So this thread is for discussion of any of the above, and further new titles as they are published. And inevitably, the old Legends too. And puns. If you don't like puns, leave now, via the Rear Windu. What have you read, what did you think, and what are you looking forward to? I ought to start the ball rolling, I suppose. I'm trying to read all of the new canon, but without breaking the bank, so I'm buying the comics when they are collected into Trade Paperbacks rather than the individual issues. Similarly, I'm waiting for the paperback versions of the novels. This means I've read all the completed comics series listed above, and the first two volumes each of Star Wars and Darth Vader. I was a lot slower starting on the novels, so the only one I've finished so far is Lost Stars, but now I've started reading all of them in story chronology order, and I'm rattling though Dark Disciple. I've found the comics so far to be generally very good, with some excellent (Kanan and Princess Leia) and a couple of disappointments (Shattered Empire and C-3PO). The two main ongoing series (Star Wars and Darth Vader) are definitely both worth reading. I loved the way Volume 1 of both series linked together, and especially their endings, which added so much in a few panels to a relationship we all thought we fully understood for over thirty years. With the novels, I think I've been lucky. I started with Lost Stars, which (it turns out) is widely regarded as the best of the lot, and I can see why. It's a love story with the events of the original trilogy happening in the background but don't be put off by that description! It's really a fantastic way of seeing the Galactic Civil War through the eyes of people caught up in it and swept along by it while they try to live their lives. The author Claudia Gray has another Star Wars novel coming out later this year, and if I wasn't planning to read them all anyway, I would definitely be reading that one. Then I read about a quarter of Aftermath, which I found both dull and confusing (too many unconnected storylines with characters I didn't care about) but which I will force myself to try again when I get back round to it in the chronology. I also read the novelisation of The Force Awakens, which was rubbish but also non-canon so we can ignore it forever. And now I'm coming to the end of the "first" of the new novels, Dark Disciple, which is set in the Clone Wars, and is based on a story written for the last series of the Clone Wars series, but never produced, as Disney pulled the plug when they took over. It's about a Jedi (Quinlan Vos) forging an alliance with an ex-Sith (Asajj Ventress) to overcome a mutual enemy, and their struggles with the dark side, and with each other. I'm finding it to be every bit as good as Lost Stars, just as much of a page-turner, and unless the ending is a huge letdown I will be recommending it just the same. New books published since April shown in bold. I finished this last night. Overall I thought it was very good, and as the "earliest" story in the new canon, it's an excellent starting point for anyone thinking of reading the new Star Wars books but wondering where to begin. As it's effectively a novelisation of unmade Clone Wars scripts from the cancelled final season, I was worried that this might be a poorly-written cash-in designed purely to recoup some of that written-off investment, and that it would rely on knowledge of events and characters from the series, of which I've only seen the first couple of seasons. I'm glad to say I was wrong on both counts. It's as well-written as any Star Wars book I've read (I realise this might be damning with faint praise) and works perfectly as a stand-alone novel. The main characters and their backgrounds are introduced and explored naturally as required by the story, with no clunky exposition or "story so far" recaps. And the story is a good one. I won't spoil it, but it's an interesting take on a familiar Star Wars theme, and one that adds some nuance to the traditionally black and white, light vs dark, goodies vs baddies Star Wars morality play. In fact this is becoming a common feature of the Star Wars novels I've read so far. Just as Lost Stars is a much better Star Wars love story than Episode II, Dark Disciple is a far better tale of the lure of the dark side than Episode III. Yet again, and almost certainly not for the last time, I find myself wondering what might have been if George had let someone else polish/rewrite his prequel screenplays as he did for Empire and Jedi. But at the same time it gives me confidence that Star Wars is in safe hands, and that the "new management" know what they're doing. The most obvious sign that I'm really enjoying these Star Wars novels is the rate I'm getting through them. I'm not the world's fastest reader but I've been polishing them off in days, and that's with work, family, eating, sleeping etc. in between. They aren't long or densely written, which helps of course, but mostly it's because they're just great page-turners. They're about engaging characters caught up in (or orchestrating) dramatic events, that make putting the book down so difficult when you just want to find out what happens next. I'm glad to say Lords of the Sith is every bit as compelling as Dark Disciple and Lost Stars. 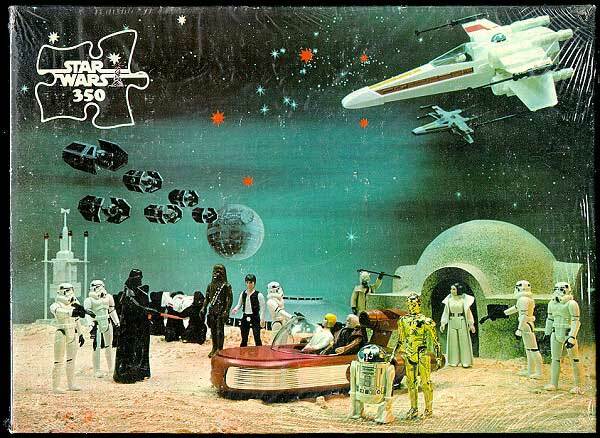 It's set in the early years of the Empire, with the Emperor tightening his grip on the galaxy. The story is focused on the planet Ryloth (home of the Twi'leks - think Bib Fortuna and Oola the slave dancer from Jabba's palace) and is told from the perspectives of three pairs of characters. On one side we have the Free Ryloth movement, led by Twi'leks Cham Syndulla (who appeared in the Clone Wars cartoons and is the father of Hera Syndulla from Star Wars Rebels) and his right-hand woman Isval, a former slave bent on revenge against her oppressors. On the other side are the titular Lords of the Sith, Vader and Sidious, who are determined to crush dissent wherever it appears. And in between are Ryloth's Imperial leaders, the damaged and ineffective Moff Mors and her deputy Belkor Dray, a selfish and duplicitous officer with no loyalty to anyone but himself. A challenge for books like this is that we already know the fate of the two lead characters, so while there's dramatic tension for the rest of the cast, there's a risk that the sections focusing on Vader and the Emperor could fall flat. However, without giving anything away, those parts of the story really sparkle, not due to any external peril (although there is plenty) but because of the dynamic and evolving relationship between the two. What's more, as the story progresses, we see how the Emperor is constantly testing and challenging not just his apprentice but all of his Imperial subordinates and subjects, all of whom he seems to regard with equal contempt. I do have a couple of niggles about this book, though. One is that by the end, it's clear how the story has ended for five of the six main characters, but one has been left open, not as a cliffhanger but simply a loose end. The character arrives at the climactic scene several pages before the end of the book, but takes no part in it and is not mentioned again. This could have been resolved with a single line later on, and I was left baffled at the end by the lack of resolution for this one character. Perhaps we're left to speculate (as the character did) about their fate, but I found it unsatisfying and inconsistent with the rest of the ending. My other issue is that once or twice, the Emperor says things that are very similar to some of his iconic lines from Return of the Jedi. I find this a bit lazy, and I think it undermines the source material - it makes Everything that has transpired has done so according to my design less impactful if the viewer is thinking, "He's always saying things like that." But these are very small problems with what is, overall, another excellent, well-told and thoroughly worthwhile Star Wars story. By sheer coincidence, the latest Marvel paperback collection came out last week, and although it's set about 15 years after Lords of the Sith it has a very similar theme. Vader is shot down by rebel forces, stranded on the planet below, and the rebels seize their opportunity and move in for the kill. It's probably unfortunate for Vader Down that I happened to read Lords of the Sith immediately beforehand, because it really suffers from the comparison. It starts well - the scenes of Vader outnumbered, outgunned but still not just threatening but overwhelming his attackers, first in space and then on the land, are excellent, as are the reactions of the rebel pilots and soldiers to this apparently supernatural enemy. But then the main cast turn up and the problems set in. It just becomes a series of set-piece confrontations between different combinations of the goodies and baddies. Given that we know that all the important characters survive, it suffers hugely from the lack of dramatic tension that Lords of the Sith did so well to avoid. But being focused so much on the dynamics of the battles, and with no real character development to speak of, the characters learn nothing new about themselves and so neither do the readers. I'm particularly surprised by that last problem, since the other Marvel comics so far have all done a good job exploring the feelings and motivations of their characters. Perhaps this special six-issue crossover run between the Star Wars and Darth Vader comics was only ever going to be all fighting and no thinking, but it feels incongruous and a wasted opportunity to me. Two pictures? No, I'm not reading two books at once, except in the sense that I'm reading The Rise of the Empire, which is a compilation of two novels, and I've just finished the first of them, Tarkin. You can guess who Tarkin's about, so I'll just say that it's set soon after the events of Lords of the Sith, and is the story of the man himself as he goes up against an elusive group of malcontents who are disrupting the Empire's best laid plans. The story itself is a bit of a macguffin though, and not one that I found particularly interesting. Much more interesting, to me at least, is what's woven around that central thread. Firstly, the book is really an opportunity to flesh out Tarkin as a character, and to explore what makes him tick. Much of the story is spent in flashbacks, to his earlier dealings with the Emperor and Vader, to his career in the Republic, and to the formative days of his childhood and adolescence. At the same time the book sets out and contrasts the philosophies of the Empire and (one of) the nascent groups that will eventually coalesce into the Rebel Alliance. And finally, it goes some way to addressing some of the continuity niggles that nerds like me waste their time thinking about. 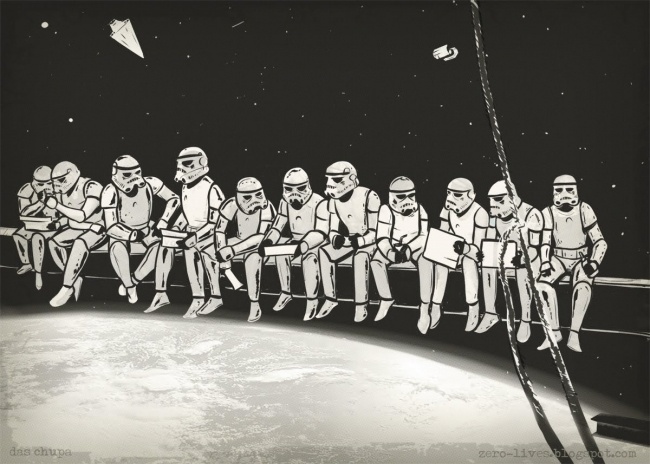 Such as: why did the first Death Star take so long to build? By the end of this story we're still in the early stages of construction, but we're left with a better understanding of the challenges the Empire is going to be up against. It will be interesting to see how this fits in with Rogue One, which of course will be set at the "other end" of the project, with both the Death Star and the Rebellion at much more advanced stages of development. The only thing I didn't like about this story is that Tarkin makes a choice at the end of the book that seems out of character, particularly when that character has been so meticulously developed. But perhaps I just missed something - someone else read it and let me know! Otherwise, while the main storyline isn't as good as Dark Disciple or Lords of the Sith, with this book it feels like we are seeing the foundations being laid for the Empire we recognise from A New Hope. I find that very satisfying, as pieces of the puzzle mentally click into place. Hey, just wanted to say thanks for putting this thread together and updating it, lots of useful info in the first post about the comics, etc. 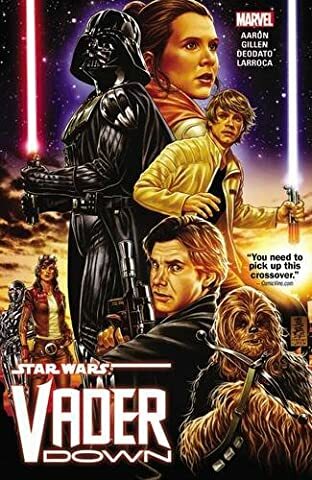 Will definitely be picking up some of the comics in TPB form because, like you, I want to keep up-to-date with the new Star Wars expanded universe. 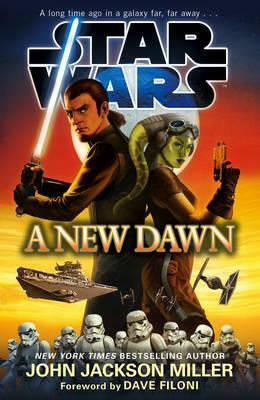 The only book I've finished (I'm part way through Tarkin but keep getting distracted) is A New Dawn. As I'm sure you are aware it is actually a prequel to the Rebels TV series and as such doesn't include any of the characters we're familiar with. I have watched the pilot for Rebels but none of the actual episodes so I'm not totally familiar with the characters and that maybe harmed my enjoyment of this book. I think the story is quite good and certainly got me interested in learning more about Kanan who is definitely the focus, so I will be diving in to Rebels at some point soon. I've just started A New Dawn - it's too early to tell whether I'll enjoy it (spoiler - I will) but I'm intrigued by the character who seems to be lining up as the main baddie. He's a middle aged human who has been horribly disfigured and had most of his limbs and face replaced with robotic upgrades, and who now travels the galaxy as the Emperor's industrial troubleshooter giving stroppy workers and inefficient managers a good kicking. Basically a cross between General Grievous and Sir John Harvey Jones. Oh, this guy is amazing. He's got a Judge Dredd streak too. He shoots a freighter out of the sky for being a bit slow, and later on punches an underperforming manager to death as a motivational lesson to his workers. I'm looking forward to him saying, "The crime is causing a printer paper jam... The sentence is death!" It's not all ridiculous baddies though. I like the fact that other characters are thinking/talking about how fishy the whole Clone Wars business was. Oh yes, I have to admit I tended to think of him more in the Lord Sugar mould myself! What I liked in A New Dawn (and it's also in Tarkin so far) is a sense of the political in-fighting within the Empire. All these higher ups all trying to outdo one another and curry favour with the Emperor. I kind of feel like the Emperor is aware of it all but doesn't bother to do anything to stop it and in fact quite enjoys watching them screw each other over. Can't help but wonder if he'd sorted that stuff out and kept everyone in line a bit better whether the Rebellion would ever have succeeded? Divide and conquer is pretty normal for fascist regimes. Keeps your people on their toys whilst making sure nobody gets strong enough to challenge you. I'm reading the comics as they come out. They'd gone off the boil a bit in the last few months, Basically since a certain character crossed over from Vader into the Main Star Wars series at the end of Vader Down, the feel of both series has changed. However, the new Arc for Vader that started yesterday (haven't got it yet, saturday's my comics and coffee day) sounds like it should a return to form, with more intrigue. Overall, none of them have been bad, but there's been ups and downs. Obi-wan and Anakin is a case in point, it's an interesting setting for their adventures - basically a steampunk planet, but the main story is just stuff that we've seen in Ep2 already: Anakin is a wilful student, Obi-wan's out of his depth as a teacher, Palpatine is shady. Haven't read any of the novels yet though - though I do want to pick up Bloodline. I believe the Vader comic is due to end with issue 25. I wonder what will replace it, if anything? Will be interesting to see if we get any material to tie-in to Rogue One? Either before or after the film's release. Yes, there's a Rogue One prequel mini-series coming soon. It will be interesting to see what replaces Vader. So far they've always had two ongoing series and one or two miniseries running at the same time. So they might replace it with another "main" series or just have more miniseries on the go. I doubt they'll reduce the quantity of comics they publish. I don't think it's going to happen, but I'd like it if they went down the original 1970s route - there is a comic adaptation of The Force Awakens coming soon, so it would be nice if they just followed on from that with "further adventures" like the original Star Wars comics. They could even have fan-service guest appearances from Don Wan Kihotay and that alien that looked like a big rabbit. I'm only really reading Star Wars because it's orbiting around the Vader book a bit. I might just have to drop it when Vader ends as it's not good enough on its own. Even once Vader finishes, they'll still have 2 ongoing series, Star Wars and Poe Dameron. I think they will specifically want to stay away from anything set after the most-recently produced film, to avoid another EU-pocalypse being required. supporting media can fill in the blank or grey areas between movies, but only have the story moved on in "Episode" films - especially as we ended TFA on a (small-scale, but still) cliffhanger. You can;t move that forward by even a couple of lines of dialogue without revealing something they'd rather do in a film. Yeah, good point - I don't think they'd really do it. And I'd forgotten about Poe's comic too so yes, there will still be two main series. In other news, I've nearly finished A New Dawn so I'll put my thoughts on that up soon-ish. Don't take the relative length of time it's taken me to read it as a sign that it's not so good - I've just been a bit busier over the last week or so. Oh well, so much for that then! I wonder why? I guess orders weren't what they were hoping for. Hype around SW may be subsiding, I don;t know if sales of the existing books are down but I wouldn;t be surprised if that was the case. I've finally finished the second part of Rise of the Empire, the Rebels-prequel A New Dawn. I said the other day that me taking much longer to read this one shouldn't be taken as a sign that it's not so good. But having got to the end I have to say, while it's definitely not bad, I've found it the weakest of the five new canon novels I've read so far. It's a decent enough story, but it just didn't click for me. And I think that might be because of the ridiculous antagonist, the previously mentioned Judge Dredd meets Sir John Harvey Jones meets General Grievous character, Count Vidian. Everything he says and does is so cartoonishly overblown, even allowing for the fact that the book is a spin-off from a cartoon in the first place. 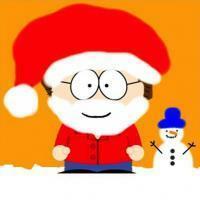 So I'm afraid I just couldn't take him seriously, and the story suffered for it. Which is a real shame because other than Sir Dredd Harvey Grievous, there's a nice tale here about how a former Padawan who escaped Order 66 but never became a Jedi, and who learned to survive as a drifter, became entangled with a lone Rebel agent, who herself is on a spy mission which turns into something more explosive. It could easily have become a lazy retread of Han and Leia's story in the original film, but it never does, and they come across as real characters in their own right. And furthermore, it ties in wonderfully with the other stories around it. The Rise of the Empire edition is definitely the one to get, because besides the novels Tarkin and A New Dawn, it also includes three short stories, one before, one between and one after. They tie the two novels together, and also back to Lords of the Sith (answering the question I was left pondering at the end of that story), and forward to Aftermath. And being set in the "between the wars" era we get to see the Empire at its most confident, and casually oppressive, still in the honeymoon period after its creation but before its opponents coalesced into a coordinated Rebellion. It was inevitable that the standard set by the first few books in the new canon couldn't be maintained for ever, and I have to say that Heir to the Jedi is nowhere near as good as any of the earlier books, and nowhere near as good as it could have been. It's set in the period between A New Hope and The Empire Strikes Back and, as you might guess from the cover and title, it's all about Luke. There's a decent enough story, with Luke romping across the galaxy on a rescue mission whilst avoiding Imperials, bounty hunters and hostile indigenous creatures. And the author takes the brave decision to write the whole thing in the first person, putting us right inside Luke's mind. But that's where the problems start. Simply, this is not Luke as we know him. He's eloquent, confident, knowledgeable, unflappable... he's more like Space James Bond than the farm boy in over his head. And he talks like C-3PO. Nothing he says sounds like the Luke we know, or conceivably like someone who's spent their entire life living in Nowheresville, Tatooine. This could have been a fascinating take on Luke struggling to come to terms with his new life in the stars, but instead he thinks, speaks and acts like he's been doing this kind of thing for ever. It's just not Luke, and when every single line of the book is narrated by him, it's constantly jarring. The book does have a go at joining the dots between Luke's basic introduction to the Force in A New Hope and his early attempts to use it in The Empire Strikes Back. In fact the author even mentions in his opening acknowledgements how grateful he is to be given the opportunity to explain how Luke knew how to Force-grab his lightsaber in the wampa cave. And the explanation is terrible. Seriously, it's rubbish. I won't say what it is, but if you want to know, but don't want to read the book (and I don't blame you), ask and I'll put it up in spoiler tags. I won't go on. This really could have been great, building on what we already know about Luke and filling in some intriguing gaps. But instead it seems to be about a completely different character, and totally wastes the opportunities it has. One for completists only, and even then, you have been warned. I wasn't really looking forward to this one. I started reading it months ago but gave up part way through out of boredom. But I'm committed to reading the whole new canon now, and that means taking the bad with the good. And it turns out... Aftermath isn't too bad. It isn't too good either, so let's get the negatives out of the way first. It takes at least a third of the book for the story to coalesce into something vaguely interesting. It's written in the present tense, for no apparent benefit. None of the characters are very engaging. And they all love to drop modern turns of phrase into their speech. The story might be set a long time ago in a galaxy far, far away, but there's nothing like someone saying they have "skin in the game" or "boots on the ground" to remind you you're reading the words of a 21st century American. At one point someone actually says, "I was putting away bounties while you were in your space diapers." Which reminds me: there are far too many sentences containing the construction "[adjective] as/like a [Star Wars place] [thing]". Reading it can be as grinding as a Kessellonian spice-mill. I'd go so far as to say that those three things I Iiked are the reason it got such a backlash when it was first published. Aftermath was hyped up much more than any of the other new canon titles as the link between Return of the Jedi and The Force Awakens, and many fans were expecting the further adventures of Luke & friends, and an explanation of how the First Order came about. It definitely isn't the former, and it's only laying the foundations for the latter. But they're solid foundations, and I'm looking forward to seeing what gets built on them. The second and final Kanan collection is out now. I thought the first (The Last Padawan) was excellent, and so did lots of other people apparently, as what was planned to be a six-issue mini series got extended to twelve, giving us the at-least-as-good-if-not-even-better First Blood. This is Star Wars comics done absolutely right. Protagonists in peril, character development, actually funny humour, and it seemingly effortlessly ties together the original films, the prequels (yes they do exist) and the new canon novels. It's restored my faith in the Marvel comics after the disappointing Vader Down. If you're thinking of dipping your toe in the comics, these are an excellent place to start. And if you want both volumes together there's a hardback omnibus coming in December. Put it on your Christmas list! 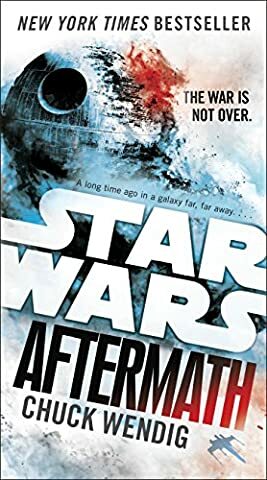 I think Aftermath is the only one I haven't bothered with so far as it got a kicking when it came out, pretty much up to date with the comics, they were all pretty good except Anakin and Obi Wan and I loathed the Leia and Chewbacca books. Has anyone read the new Han Solo comic mini-series? Any good? The first issue was fun, though not exactly deep or layered with great surprises. Not read the second yet. it feels so far like it'll be closer to the Lando comic in tone than any of the others, which can only be good. I loved the Lando books, that panel where he goes into the room full of Sith artifacts is awesome, really want to know whos helm it was in the centre of the room. Cheers guys. Think I'll grab the first two issues. It's just a mini-series, right?